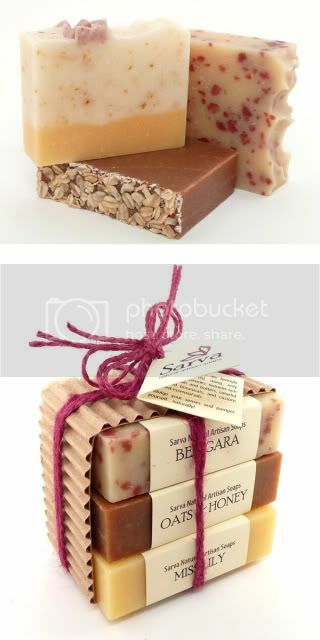 Sarva Natural Artisan Soaps are all-natural luxury vegetable soaps, crafted in artisanal fashion, in harmony with nature. Sarva soaps are artistic, exclusive treasures from one single artisan who practices her craft in an old-fashioned way, working entirely by hand, in very small batches. These soaps are getting a lot of attention lately… the Handcrafted Soapmaker’s Guild has chosen to use a photo of Sarva soaps for their ad in the Holiday issue of Martha Stewart’s Body + Soul Magazine! Sarva offers you this one-of-a-kind Spa Series Trio, valued at $22.50, a custom creation just for this giveaway! Packaged in all recycled papers and tied with natural jute twine, this is eco-friendly luxury at its finest. Benigara: The word Benigara refers to a very particular shade of red in the Japanese language, the oxide red stain of traditional Japanese buildings. You’ll find that same shade of red in the speckles in this soap, along with a mysterious, meditative essential oil blend reminiscent of the finest Asian incense. This luxury formulation contains rice bran oil and macadamia nut oil, both very popular in Japanese culture for skin care. Oats and Honey: Sweet mildness! You won’t believe the lather. Oat flour and nurturing honey in a silky soymilk base, with a heavenly toasted honey-oat scent. (Remember Bit-O-Honey candies? Yep, just like that.) Superfatted with rich apricot kernel oil. Sarva supports local business and uses local raw Ohio honey. Miss Lily: Originally designed as a soap for babies and named after one very special little person… but grownups love it just as much! Miss Lily has a gentle, abundant, creamy lather. There is just a touch of lavender essential oil, providing a soft, comforting scent. Calendula-infused olive oil, along with shea butter, creates a wonderfully mild formula. All pigments are natural, so there’s nothing funky going on your skin! Want to win this fabulous Sarva Spa Series custom soap trio? Either visit Sarva Natural Artisan Soaps and come back here to comment on your favorite product, sign up for the Eco-Office Gals updates and comment to let me know you did… or both for 2 entries! Let others know about today’s giveaway by posting on your blog or Twitter for additional entries. For each entry leave a separate comment. Winners will be announced this evening! Good luck!! 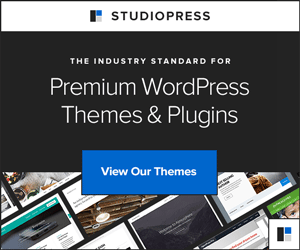 « Week Two of Relaunch! The soaps are awesome. I will try it. Alright everyone! Comments closed headed to Random.org to announce a winner. Good Luck! man that is kickin hot~! I may even have to have one~ !!! Thanks for the Tweets ya’ll~! that means I have 3? 3rd post. And I have to choose Benigara for the color alone! I signed up for the rss feed. Love Sarva’s Hourglass soaps! I subscribed to feed updates, and went to the sight. I am really liking that lavender rosemary. Christie (Snappymom)´s last blog post..Tagged! that one be the favorite product from the soap website. Sorry! this would be a wonderful scent to have for soap. I love the Benigara! I just got my All Hallows from Sarva Soap. Oh my! I could go for the Cinnamon Sunshine. I’m curious as all get out regarding this benigara one! *wink* sign me Up! always use more of Michelle’s fabulous artisan soaps! Hands down – pumpkin pie! It is amazing!! Kuddos to Sarva Soap for such abeautiful soaps and amazing craftsmanship! I’ve been wanting this type of product since I left Paris!!!! The Gallery series has lots of my favs in there, Lemongrass, Felicity, and Gentle Mint. these soaps sound so divine. I want one of them all. I bookmarked the website. these are totally awesome. hope i win. would love to try these soaps. Is it wrong that these soaps make me want to eat them? My girlfriend would love something like this! I think the candy cane one and the lemongrass both sound delicious! I would love to try the Ocean Mist Sea Salt Bar. I sent a tweet to Twitter. I like Candy Cane – Limited Edition, Holiday 2008. I think the candy cane soap is so beautiful! The swirled color is like artwork. Purity…there’s nothing better than pure castille soap! Awesome looking website and soaps. I would love to try any one of them. They all sound exc ellent. I’m already signed up for updates! My favorite product is the Pumpkin Pie – Limited Edition soap. I looove the smell of pumpkin pie!